Mew is a legendary Pokemon and is the last pokemon in the Kanto region (Gen 1) Pokedex. It is one half of the Mew duo with the other being MewTwo. Mew does not evolve nor does it evolve from any other pokemon. Mew is special pokemon in that it has been thought it shares a lot of genetic material with all other Pokemon allowing it to use almost every move in the main games. This means that when Mew comes to Pokemon Go it could have a very wide range of moves and picking a proper counter is going to be very difficult. If you bring Flareon and Mew has a water special move you will need to dodge it. The history of Mew and MewTwo is explain in the original Pokemon movie. Mew was one of the primary Pokemon in the Pokemon Movie. A powerful pokemon named MewTwo is shown to have been created from the DNA of Mew. MewTwo rejects the attempts to control it and seeks to destroy humanity. MewTwo begins to create an army of Pokemon on New Island. Mew follows Team Rocket into New Island and eventually confronts and helps defeat MewTwo. Mew and MewTwo are both psychic Pokemon but visually are some what opposites with Mew being cute, and MewTwo being scary looking. As a Legendary Pokemon Go Mew is battled in Raids and has extremely high CP. Legendary Pokemon like Mew can be caught when you battle in a Legendary Raid. A raid will appear with a 5 Rydon symbol that denotes a Legendary Raid. 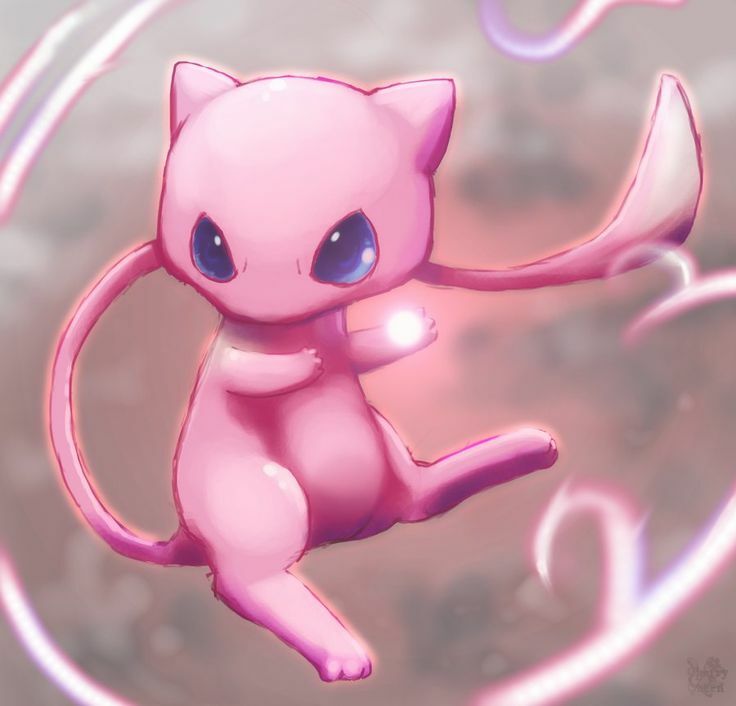 Once the Raid pokemon appears it will be one of the Legendary Pokemon, if it is Mew then you can battle it. If you successfully beat Mew you will then get an opportunity to catch it. To beat Mew you will to make a team of multiple people to help. No matter how powerful you are the Legendary Pokemon in Raids are very powerful (Very high CP) and require a large group of people with high level Pokemon. Mew and Mewtwo are expected to be the two toughest of the Legendary Pokemon to beat and catch. The cute little Mew has teleported in your path. For a moment you are disarmed by the cute creature but you quickly come to your senses as you begin to feel the awesome psychic powers reverberating from the creature. This is your chance, its time to beat MEW! Alright strategy time well lets start with this Mew is a Psychic type hybrid pokemon. Dark and Ghost pokemon in particular work well against psychic Pokemon. Top Counters vs Mew: The top counters for Mew are going to be Dark Pokemon which are generally hard to get. If you have none of the top counters try using Flareon. I realize that Houndoom and Tyranitar with those movesets are pretty rare so you will likely need to add other pokemon to your Raid team. Here are some other ideas that are not quite as optimal. With Flareon you will need to becareful as Mew can have a water based Special Move. Defensively Mew is very tough to figure out because it has a huge range of possible moves that fall into many times. Unfortunetly this means you need to enter the battle before trully knowing which moves the Mew you are facing actually has.